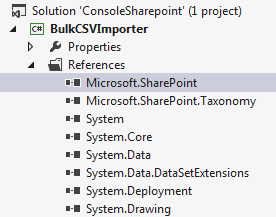 The SharePoint 2010 CSV Bulk Taxonomy TermSet Importer/Exporter enables the import and export of taxonomies from the SharePoint Term Store. It’s available on CodePlex and supports SharePoint 2010. I like to use the tool to move taxonomies between development, test and live environments. 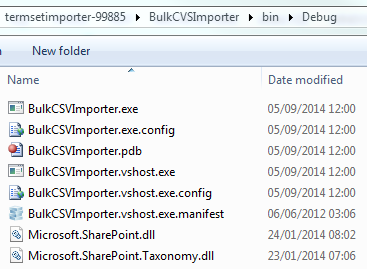 In this post I’ll show how to recompile the tool to support SharePoint 2013. Download the source code from this page. Extract the zip file and open the solution in Visual Studio 2012. 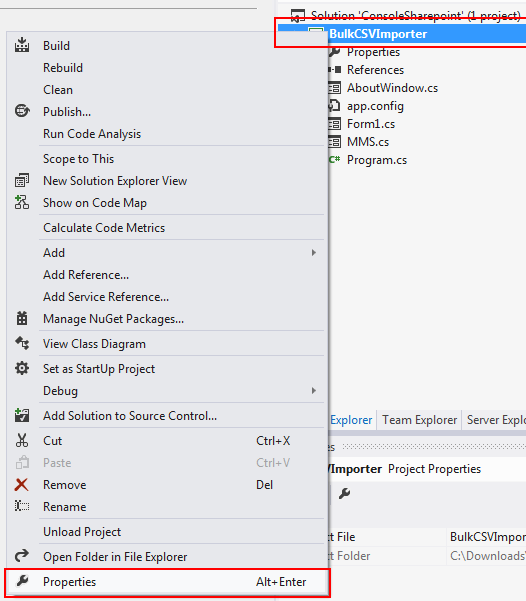 From Solution Explorer, right click on the project and select properties. 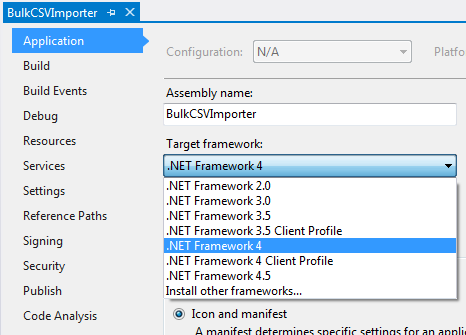 Change the target Framework to .NET Framework 4. From Solution Explorer, expand References and right click on Microsoft.SharePoint and choose Remove. Repeat for Microsoft.SharePoint.Taxonomy. On your SharePoint server navigate to C:\Program Files\Common Files\microsoft shared\Web Server Extensions\15\ISAPI. Copy Microsoft.SharePoint.dll and Microsoft.SharePoint.Taxonomy.dll. Paste them into the route folder containing the source code. In Solution Explorer right click on References and choose Add Reference. Click Browse and navigate to the folder containing the two dlls. Add both the dlls to the project. Right click on the Solution and choose Build Solution. 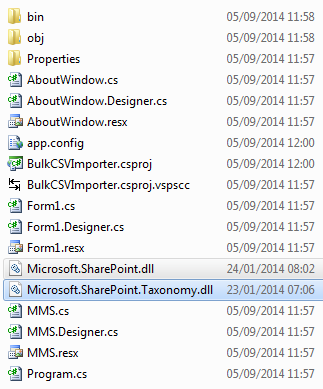 Copy the contents of the Debug folder to your SharePoint server and use the tool as described on CodePlex. This entry was posted in SharePoint and tagged managed metadata, SharePoint 2013, taxonomies on September 5, 2014 by richardstk.